Karin Celestine lives in a small house in Monmouth, Wales. In her garden there is a shed and in that shed is another world. 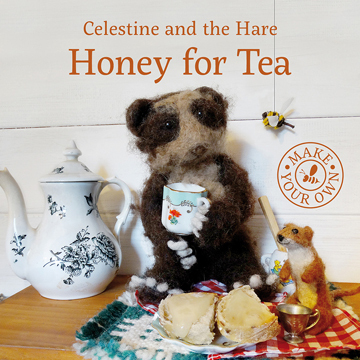 The world of Celestine and the Hare. It is a world where weasels are ruled by King Norty, pandas ride space hoppers and bears read stories to each other. It is a place that makes people smile and where kindness is the order of the day. All are welcome. Karin will be reading Honey for Tea followed by a simple craft activity 11.30 and 2.45. Included with standard admission to the Yorkshire Arboretum. 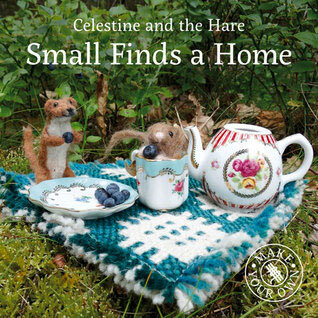 At 1.00 Karin will be reading a different story – Small Finds a Home followed by an opportunity to try your hand at stick weaving. Spaces for this activity are limited so please reserve your place for £1.50 to avoid disappointment. Copies of the books will be available to buy from Scarborough bookseller Wardle & Jones. This event is part of the Ryedale Book Festival at the Yorkshire Arboretum event, sponsored by Intelsius.